Oliver Tate: I suppose it won't matter when I'm 38, but I'm upset about it. Ayoade makes one of the finest debuts in years. 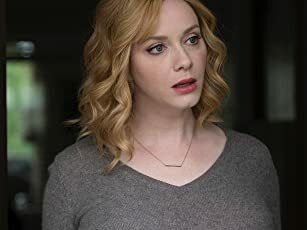 There's nothing better than walking into a screen to see the debut film by a writer and director – one that you have only heard very little about – and walking away 90 minutes later feeling more moved, entertained and uplifted by a movie than you have been in years. Perhaps cinema-goers in the mid 1990s had this experience upon seeing Wes Anderson's first film Bottle Rocket. And maybe even those who witnessed Spike Jonze's big screen debut, Being John Malkovich, only a few years later will understand it too. However, for those of you who, like me, were too young to witness the birth of these auteurs of independent cinema then you don't have to worry, because Richard Ayoade's film Submarine is almost as good as both of them put together. It tells the story of Oliver Tate who is caught at the junction between childhood and adulthood as he struggles with his first feelings of love, desire, heartbreak and must choose what path he wishes to take that'll define who he is for the rest of his life. 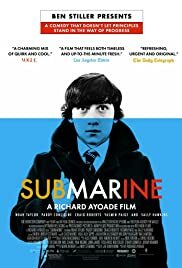 Sure, it may sound somewhat similar to all the coming-of-age stories that have hit the cinema recently, but what makes Submarine so special is Richard Ayoade's ability to capture the essence of growing up; the joy, the optimism and the tenderness alongside all the angst, confusion and depression too. I defy anyone to not see themselves plastered up on that silver screen in the film's opening as Oliver fantasises about the adoration and attention he'd receive if he died. The ups and downs of this British comedy are mainly due to Ayoade's wonderful screenplay and direction that are touching yet never slip into sentimentality - he often playfully pokes fun at it in many cases – but what also deserves credit are the poignant score by Arctic Monkey's singer Alex Turner, the cinematography that effortlessly shifts between comic framing and beautiful imagery and the note-perfect performances by the entire cast. Craig Roberts plays Oliver Tate in a star-making performance that will surely see him become one of Britain's finest young actors in the next few years. His character is a complex, multifaceted one yet he is able to make it wholly believable. Similarly outstanding is Yasmin Page as his love interest Jordana. 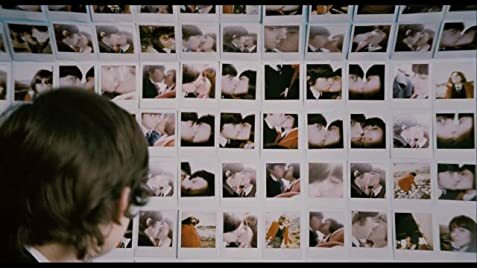 It's essential to the story that she is a mystery to Oliver for much of Submarine's opening half, only revealing the reasons why she is so rebellious, unromantic and mischievous in the final act, and Page brilliantly portrays this with a careful mix of enigma, seductiveness and humanity. What also excels Ayoade's film from being just another British coming of age story is the stylishness of his direction. Presented in the fashion of a French New Wave film like Jules Et Jim or A Bout De Soufflé he gives Submarine an aurora of quirkiness and creativity that you rarely find in British cinema. The "kitchen sink" is gone and has been replaced by jump cuts, inventive sound design and a somewhat disjointedness. This style, moreover, helps to complement the personality of our aforementioned protagonist who sees the world in a unique way to everyone else. So what lies in the future for British cinema? Some could argue that it's the big dramas like The King's Speech, others could argue that it's the low budget affairs like Monsters and many will say that it's spectacles like Harry Potter. However, on the evidence that Richard Ayoade presents here, Submarine might just be a glimpse of the great things to come. 96 of 112 people found this review helpful. Was this review helpful to you?